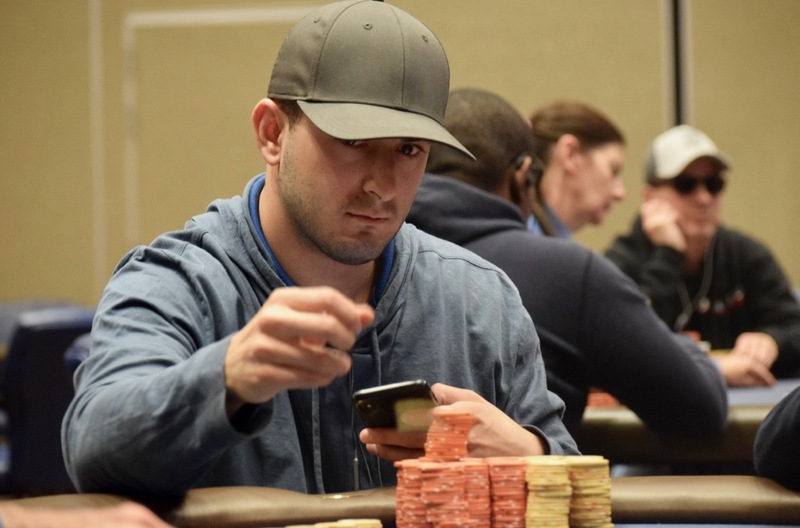 Kayla Voogd and @AllenKessler are both all in preflop, Brian @Altyfbaby Altman - the overwhelming tournament chipleader - has called to put both players at risk. "That's a very good flop for me," Kessler says as GaryTheDealer peels off 8-8-6. "That turn is good for me, too," says Kessler of the turn 4. "And that's a King," Kessler concludes, as the river pairs Altman for another elimination. Voogd and Kessler mincash for $1.735.